Congratulations to "Linda H.", the winner in Noelle's giveaway. Thank you to all who participated! When I touched his bare skin, I realized my mistake. It was dark and sultry in the moonlight, and he was so handsome and only half-dressed. Plus, he’d been looking at me in that particular way, like he might want to devour me. Or touch me all over. I suddenly wanted to do a lot more than this touch his arm. I pulled my hand away, feeling slightly shaky by the depth of my desire. I took a ragged breath and stared out at the ocean, willing down the rush of feeling. It was silly. I was a mature, reasonable person who could manage not to jump someone, no matter how much I happened to want to. He would make a move when he was ready. Hearing him say my name made it even worse, and I didn’t dare to look back at him. Not until I got myself under control. “Victoria.” This time, the word was quieter—and no longer a question. He reached over and used his hand to gently turn my face back in his direction. His head was tilted to one side, and he was searching my face with his blue eyes. He wanted to know what I was thinking, but he couldn’t know what I was thinking. He was leaning toward me, and his face was closer to mine than it had been before. And whatever willpower I possessed just wasn’t enough to fight off my flood of feeling. I leaned toward him even more. Reached out to lightly touch his face with my fingertips. He sucked in a breath and cupped my head with one of his big hands. Then suddenly I was kissing him. I really have no idea who was the initiator. It could have been me, or him, or both of us at the same time. It didn’t really matter anymore. His lips were on mine, and it was exactly what I wanted. My whole body was washed with a rush of excitement and pleasure, running down my spine and dispersing to so many other parts. His mouth wasn’t rough or hard, but it was more urgent than I would have expected, like he couldn’t control himself any more than I could. Soon, his tongue slipped between my lips, running along the undersides and then diving further into my mouth. I gasped against his lips, edging forward on my chair even further as both of his hands tangled into my loose hair. I could feel a tension in his body, a transparent passion in his touch. He wanted this. As much as I did. That knowledge excited me as much as his kiss, his caresses. Noelle will be giving away an eBook copy of A PRINCESS FOR A BRIDE to one lucky person leaving a comment or email entry. Giveaway ends 11:59pm EST Feb. 9th. Please supply your email in the post. You may use spaces or full text for security. (ex. 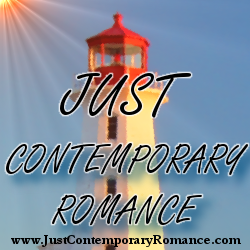 jsmith at gmail dot com) If you do not wish to supply your email, or have trouble posting, please email maureen@JustContemporaryRomance.com with a subject title of JCR GIVEAWAY to be entered in the current giveaway. I really enjoyed the excerpt, can't wait to read it. 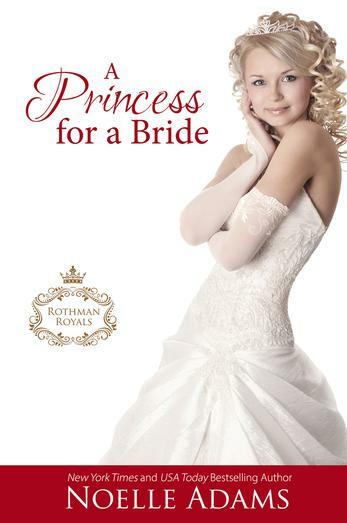 I've always enjoyed royal stories, there's always something a little fascinating about them. Congrats on this latest release! Enjoyed the snippet you shared!